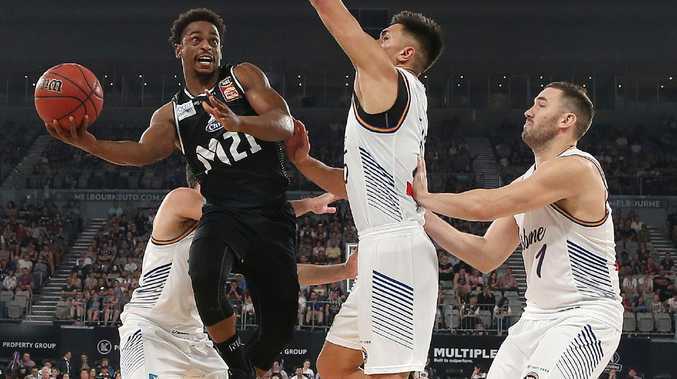 IT MUST be tempting for Melbourne United to persist with using Chris Goulding in damaging spurts. 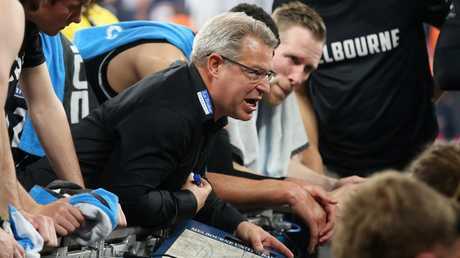 It is not so much a luxury but a necessity, right now, but United coach Dean Vickerman would be thrilled as the NBL champions approach the season-defining December-January grind. No slight on Goulding, as the burst role is merely a stop gap to help the captain find his feet after niggling knee and eye complaints. Is the sharpshooter's ability to impact with and without the ball most devastating when the opposition is on tired legs? No one in the league shoots the ball as well, and as consistently, as the 2017-18 grand final most valuable player. Chris Goulding attempts to get around Matthew Hodgson. So with early-season wins on the board the stacked United roster could actually benefit with Goulding as the glue man. His ability to work off screens, make good decisions, free up teammates and, of course, shoot the ball from anywhere - at any time - makes Goulding a formidable force late in quarters or when game demands. 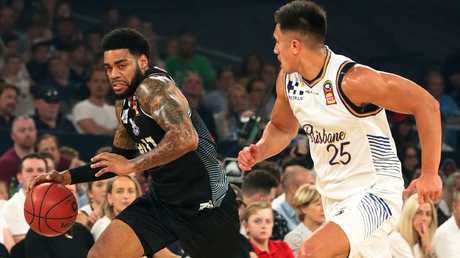 United deployed Goulding at crunch moments on its way to a clinical 102-94 victory at Melbourne Arena against Brisbane Bullets in front of a crowd of 7656. The Bullets, however, through no real fault of their own, were their own worst enemy, engaging United in an arm-wrestle is a recipe for disaster anywhere - let alone Melbourne Arena. United has won five of six matches at the venue and all have been decided by eight points or less. In short, it is a case of grind at your peril. Going with United is hard enough let alone doing it over four quarters. They just keep finding ways to keep the scoreboard ticking over, do the NBL champions. Casper Ware fired early and often, as did David Barlow and DJ Kennedy, to hold the Bullets at bay. But Goulding's 16 points in 23 minutes proved to be the difference. Six of those points came in the last four minutes, Goulding twice going to the foul line and executing perfectly. DJ Kennedy is chased by Reuben Te Rangi. Every time the Bullets threatened or looked to do so with the scores level, or close to, Goulding would be thrust into the game. Short bursts for maximum damage and not always with the ball. 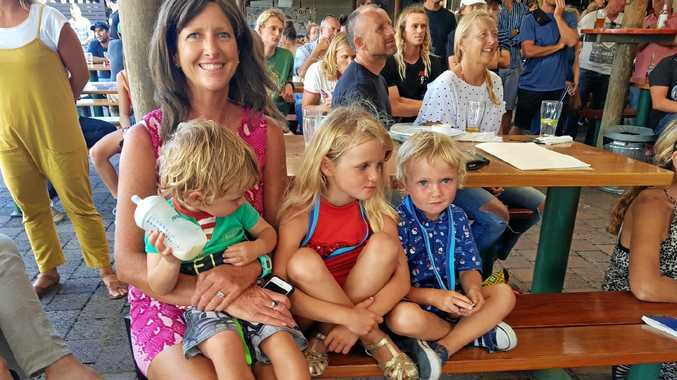 Goulding, by virtue, commands the utmost respect from the opposition. 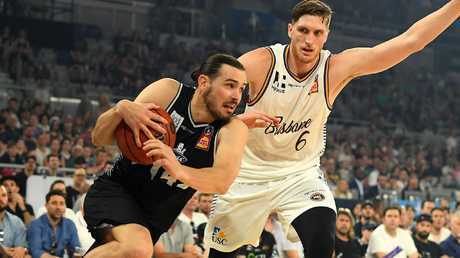 Bullets and Boomers star Cameron Gliddon had the job on Sunday along with Adam Gibson and Stephen Holt. It mattered not, however, as United's shared the ball and finished with precision.